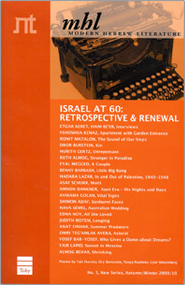 Shulamit Appfel, also known under her pen name Elinoam Shalev, was born in a British detention camp in Cyprus in 1948. She arrived in Israel and settled with her parents in a very poor neighborhood in Haifa. At fourteen she began working as a hairdresser and at fifteen she wrote her first poem. In 1965, the editor of the literary magazine Achshav, Gabriel Moked, published her first book of poems. Appfel was awarded the Prime Minister's Prize (2013) and the Ramat Gan Prize (2014).